One of the world’s biggest tech companies likes to say that its technology “just works,” but the truth is there’s still an extremely complicated program behind each of those apps on our phones. That means someone spends hours writing those programs, making sure every bit of information is accounted for and integrated into the final product. It’s the same way with an Internet marketing lead generation system, in which dozens of individual elements need to be woven together into a cohesive whole. But without a plan, that can be difficult to do. That’s why we at Straight North developed the following infographic to serve as a kind of road map for building a lead generation campaign. After studying many successful lead generation campaigns, we’ve been able to identify all of the crucial elements that make up a successful campaign — and how they all fit together. Building a campaign without any of these elements may mean it won’t function as well as it should, and force you to start from scratch. 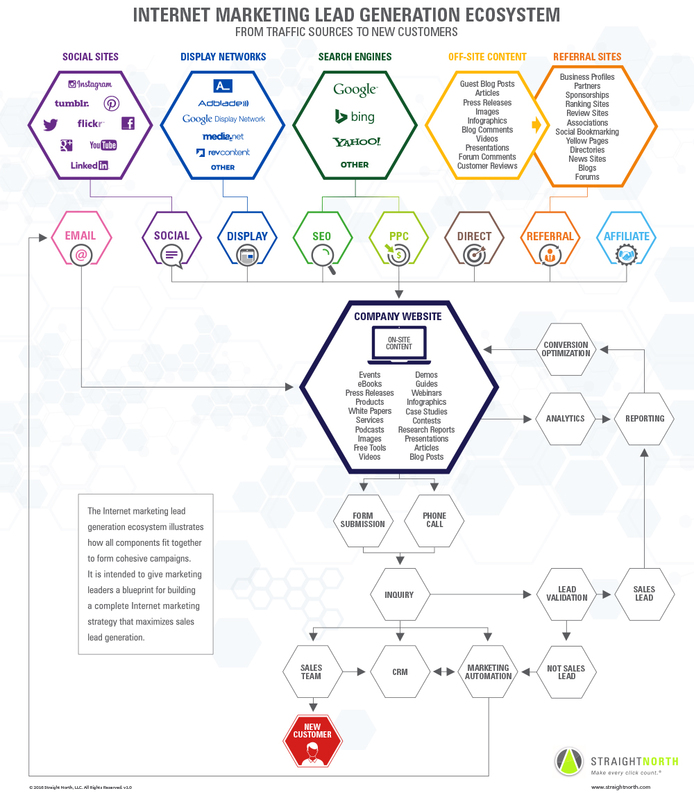 Whether you’re building a lead generation campaign from the ground up or optimizing your current campaign, this flowchart will give you the best idea of what needs to be included and how to assemble the elements into a campaign that will “just work” for you.